Who doesn't love candy. Who doesn't love it even more when it's produced in your home country. 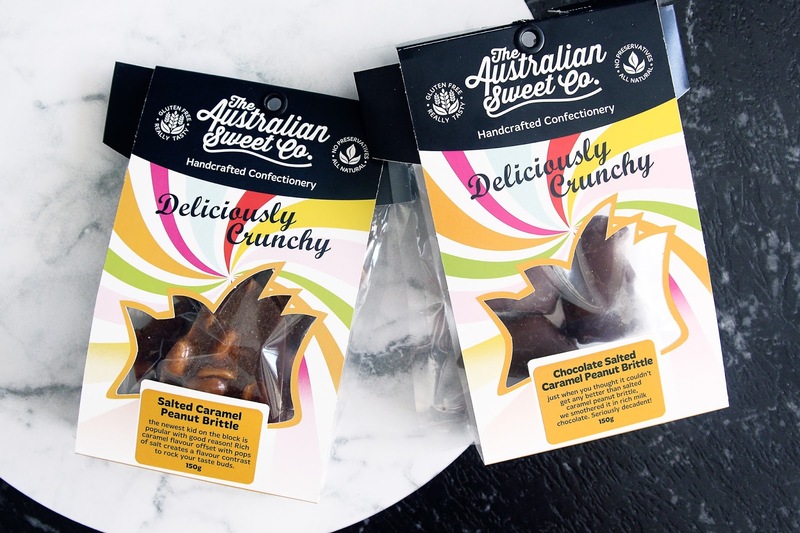 The people from The Australian Sweet Co were kind enough to send me over some of their Salted Caramel Peanut Brittle, as well as the chocolate covered version, to try out. 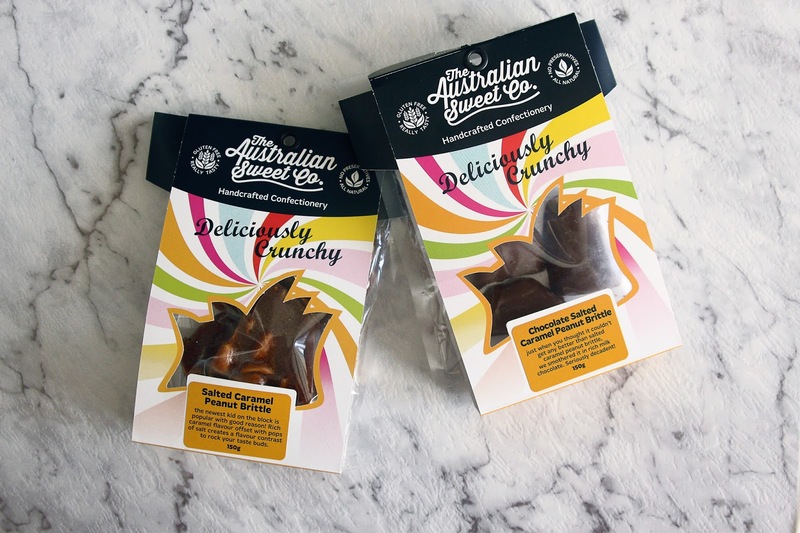 Made in Melbourne, this company handcrafts their sweets with locally sourced ingredients, and, something which gives them a big thumbs up in my books, is that all their products are gluten free! Not only can you browse their range of sweets, if you have some special event or occasion coming up, you can make custom orders. Obviously it goes without saying. this stuff has a very strong peanut flavour, even when it's covered in chocolate, so if you're not a peanut fan this is definitely not for you. I do love peanuts myself but it seems I've discovered my limit. While I could enjoy one of the chocolate covered ones, straight peanut brittle just isn't fun for my tastes buds. However that is just my personal taste preferences, but that does not diminish the amazing quality of this product. 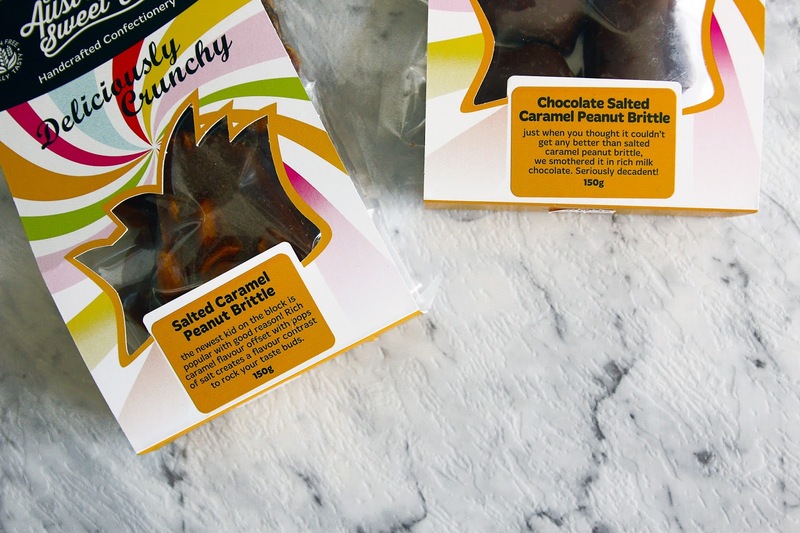 If you're not a peanut fan, never fear, because this company produces a range of other sweets, and there is sure to be something to satisfy your candy needs. The chocolate ones sound lovely. I'm not a fan of peanuts but I do like peanut butter and sweets.